I just want to write an update on my dropshipping experience so far. For me it is an “aha moment” finding out about this eCommerce business model. There really are no limits! You can basically sell whatever you want, which is opening up doors to so many opportunities. Yes, there is a “crack in the wall” like always when something sounds almost too good to be true – the profit margins are not as high as when for example private labeling your products and sourcing them from overseas. The fact that you do not have to invest in inventory, pay often “big bucks” and not know if you will get your investment back, makes me vote for dropshipping. I rather make a little less and instead focus on volume. Need Help Finding The Best Listing Software – Anyone? With the few products listed so far, I have noticed that it takes TOO LONG to list each one of them. How will we be able to sell large volumes if it takes hours to create a listing? No, I do not believe that is possible. I have checked out Azondrop briefly, and Profit Spy. I am not sure if any of them are what we need. Profit Spy seems great in regards to finding products with good margins and to get an understanding of how fast the products will sell. However, it does not seem to help duplicate an existing listing and make it your own. Does a software like that even exist? I would greatly appreciate your good advice. This is the next question I am thinking about as we speak. Are you supposed to consider the same parameters as when finding a good product to private label? 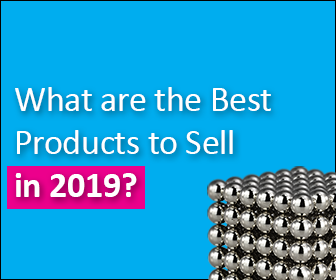 When you are searching for a good product to private label, you are looking for a “best seller product” with already a high demand, but not too many reviews – below 200 is said to be recommended. Is it the same when dropshipping? In fact, in reality this is one of the most difficult things to fulfill from my experience this far. I thought I had it all covered with my first private label product, but forgot two important parameters – sales and price history. I later noticed that the best seller product we were comparing our product to, had a huge drop in price during a period, when the seller probably had a campaign to boost sales and reviews. The item temporarily got ranked as a best seller on Amazon just because of this, but dropped down later on. Well, as they say… you learn from your mistakes. 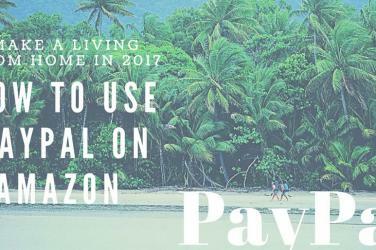 Our product is selling, like almost everything will on Amazon sooner or later, but just not as much and fast as planned. What Have We Listed This Far? Let me introduce our first 2 products listed as dropshippers with Get Happy e-Deals (our eCommerce store is coming soon). Starting with the most recent product. This is it for now guys, thanks for reading this blog post. If you have any feedback on it or know what kind of software we should use, please give me a “hola” in the comment section\below. I would appreciate your help tremendously and return any favor I can. I wish you all the best and a successful 2017! This is the year of good business! Update on dropshipping - there are no limits!